The 12X-LED-NA-USB is a straight connector LED goodeneck light on a pinless XLR connector. It includes a hood mounted on/off switch and plugs into any unused microphone input connector (XLR). 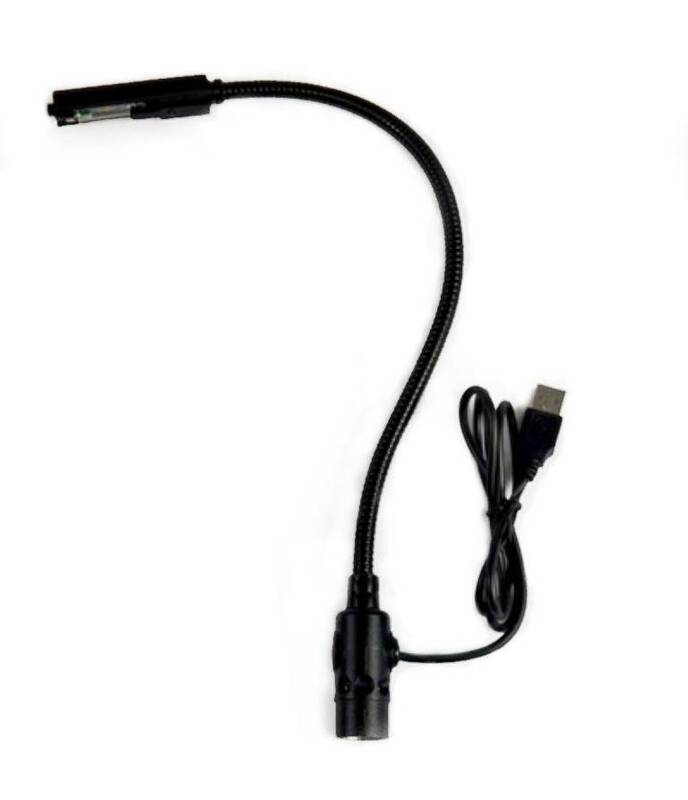 It is powered by a standard USB connector (5 Volts). It is great for audio consoles without a dedicated task light connector.